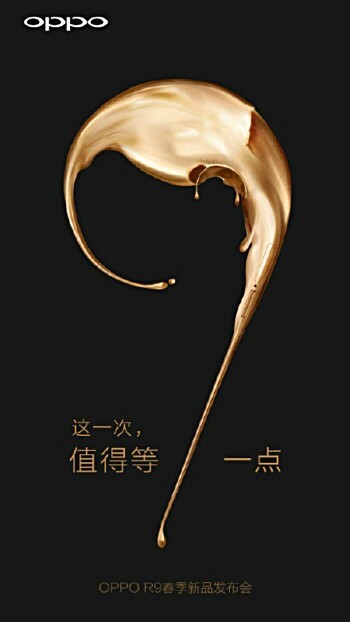 OPPO has published a new teaser that confirmed the existence of the much rumored R9 smartphone. Just like OPPO F1, the OPPO R9 seems to be another camera-centric device according to the Chinese text. In fact, the text OPPO R9 is also mentioned at the bottom. Apart from this, nothing else was revealed but since this is the first teaser, we can expect to see more teasers being uploaded soon. In terms of specs, it’s rumored that the OPPO R9 will be powered by a Snapdragon 820 SoC and will feature a 6-inch (1440 x 2560 resolution) display with either 3GB or 4GB of RAM. For camera, the device might be onboarded with a whopping 21MP rear camera and a 13MP shooter all packed under a 3,700 mAh battery. Let’s wait and see what OPPO has in store for us again!